Why not click-and-collect? There are a few reasons. Click-and-collect fever is sweeping the retail world. 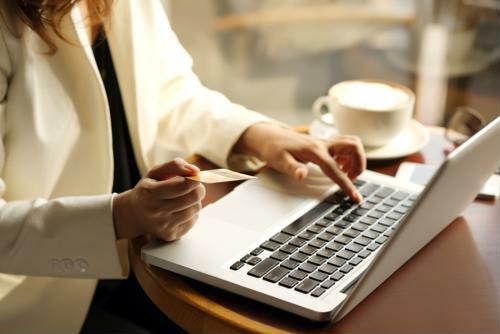 While only 43 percent of retailers in North America have a click-and-collect option for their shoppers, 78 percent of European omnichannel brands offer the services, according to recent data from L2 Inc. On a global scale, as of July 2015, 57 percent of brick-and-mortar shops allow consumers to order products online and pick them up in person. This means a lot of retailers are stuck between a rock and a hard place right now. To click-and-collect, or not to click-and-collect? Let's help you answer that question with some pros and cons. Kroger recently embarked on its click-and-collect journey, and Forbes contributor George Anderson of RetailWire reported that it's working out very well. He cited a review from a Kroger customer in Ohio who said, "I love it," after ordering online and picking up in-store. You can take it right from the horse's mouth in this case that by offering the service, you will be sure to please consumers - how can more options be worse for your shoppers? Remember, in the 'age of the consumer', it's all about offering consumers your products however they want it, whenever they want it, and wherever you can give it to them. "How can more options be worse for your shoppers?" If your store isn't built for in-store pickup, where are customers going to wait? Drapers' James Knowles and Charlotte Rogers explained their experiences with click-and-collect, specifically pointing out that waiting at the normal checkout queue was a bit annoying in some cases. Creating an area for package pickups seems logical, but there will be a cost to that - which will affect the bottom line, in-store experiences and staffing. A click-and-collect policy will get shoppers into your stores - that's the point. While those individuals are there for products they've already purchased, you have the chance to sell them more items. Consumers can browse for more things if they want, or a product could catch their eyes while they're waiting at checkout. click-and-collect lives and dies on strong backend technological infrastructure. You need a system for account creation and management, ordering, inventory tracking and at the point of sale. This isn't just buying a single piece of software, this is a whole new package of technology. As Smart Company's Mark Freiden explained, getting ERP, website, checkout and warehouse systems on the same page is a challenge that requires a lot of work to overcome. 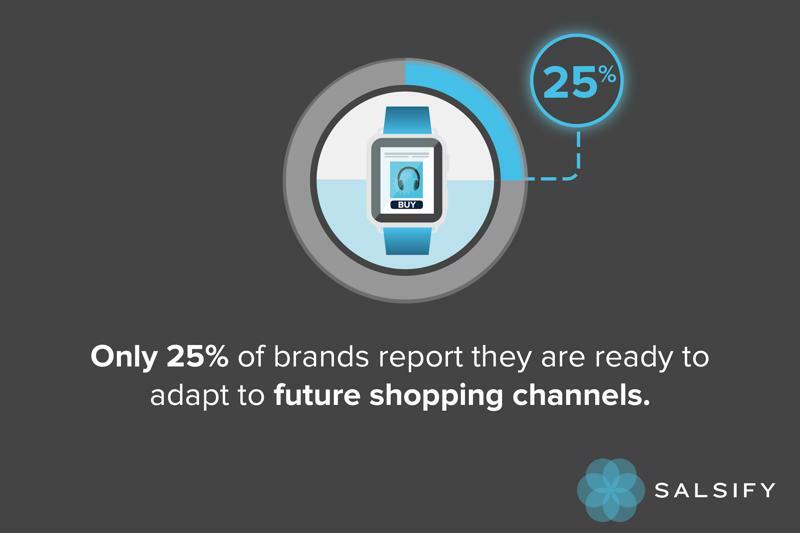 After all only 25 percent of brands are ready for new retail channels. Source: Salsify's Product Content Edge Ebook - download here! Delivering products directly to your customers' front doors is one of the most expensive aspects of omnichannel. (Check out our other article on the last mile for more about this.) IRP Commerce writer Grainne McGarvey said that click and collect is likely less expensive than traditional shipping, especially when looking ahead at the state of delivery. You can pass those savings down to your customers or reinvest in better click-and-collect tactics! The last mile is traditionally completed by a third-party shipping service, so if you want to offer click-and-collect, you must consider that you're bringing a portion of that work in house. You need employees to man POS stations, maybe even run items out to customers' cars. Do you have a protocol for out-of-stock products? You also require new warehouse processes, and that demands training. The people and practices part of click-and-collect is a handful in itself - and whose job is it to handle that? "Retailers with click-and-collect have seen customers start spending more." Have you ever gone to buy a product on Amazon or other retailer sites and discovered that it wouldn't arrive for a couple weeks? click-and-collect removes that barrier, and opens the door to upsells. That means more profit for your brand. A report from IMRG said that retailers with click-and-collect services have seen customers start spending more. On top of that, it pulls in more shoppers. Win-win... or should we say money, money, money! More revenue, nothing can trump that, right? You might have to spend more to keep click-and-collect running. The in-store processes won't be free and the cost of implementing or integrating new IT systems along with the need to re-adjust checkout area layouts present significant hurdles to clear. Freidin said that the price tag on click-and-collect "isn't initially apparent," so you should at the least be prepared for the financial impact. At the end of the day, you need to innovate. Today, that means omnichannel, and the next step is distributed commerce. click-and-collect is great for retailers that want to take that next step. It offers yet another way to give your customers what they want, when they want it. In-store pickup is just one aspect of a much bigger distributed commerce picture. If you offer this service, your customers are able to choose how they buy - online and in-store - as well as how they get receive their orders - in-person today or at their front doors tomorrow. click-and-collect might seem like a nightmare, but it will be dreamy for your customers.